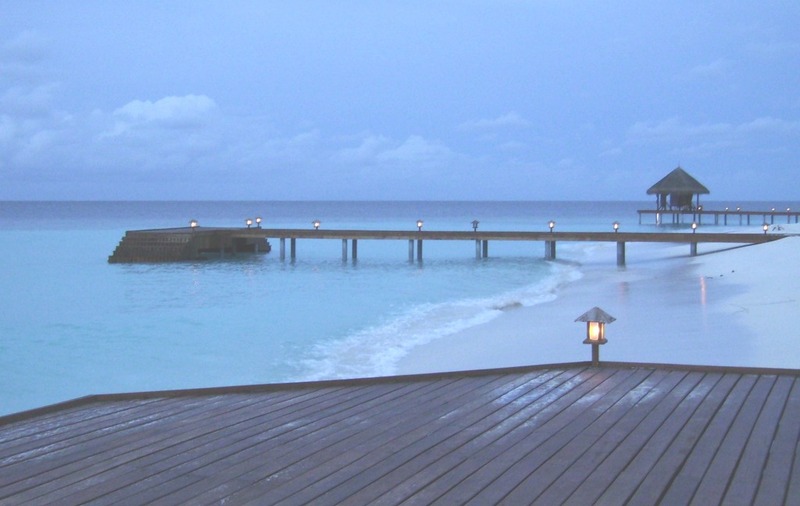 I was offered to do up a luxury holiday resort in the year 2006 – Rania and the WaterGarden Spa on Faafu Atoll in the Republic of Maldives. This is one of my best projects to date. At The Rania Experience, you book the whole island for yourself. You can choose to come as a couple. Or you could bring along ten of your closest friends. You could book The Rania Expereince for an extraordinary board meeting; in every sense of the word.Or have an exclusive wedding on the beach!!!! The Rania Experience is designed for couples, families and friends traveling together, small private parties, board meetings, corporate retreats and getaways and weddings and can take a maximum of fifteen guests. 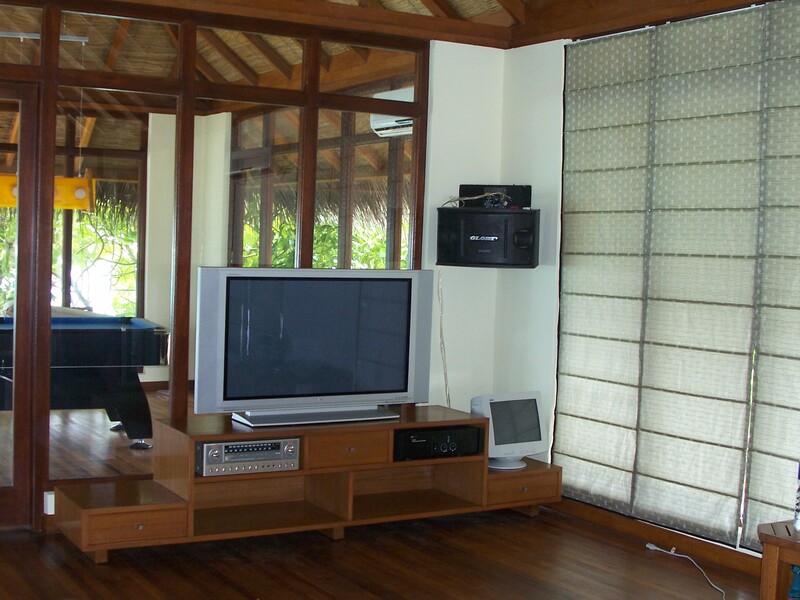 The design perfectly captures the romance of the Maldives with thatched roofs, dark woods and whitewashed walls whilst the interiors are a perfect blend of contemporary style with the latest technology in home entertainment comfort. 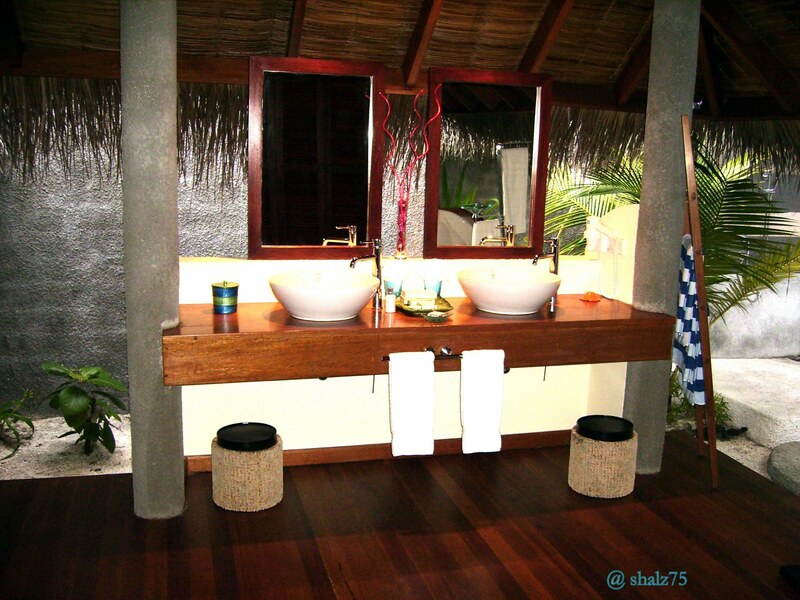 The architecture of the resort is basically Maldivian in character – rough plastered walls, high ceilings, exposed wooden beams polished to perfection and ‘fungi’ roofs which are typical of any beach resort. This is common to both the main guest areas as well as the back of house areas. The interiors are contemporary in character with vibrant colors, rich fabrics and high end finished furniture and fixtures; yet comfortable and warm. The Island can be divided into a master suite, beach villas, entertainment lounge, spa, bar, jetties, water sports hut, volleyball court and the heart of the house areas like kitchen, team accommodation and main office. There are no intentional divisions of the areas with the natural vegetation acting as dividers; yet it is one harmonic unit wherein one area overlaps the other seamlessly. 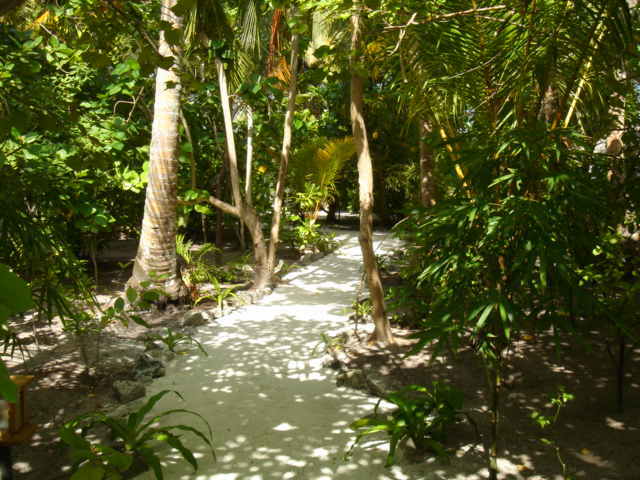 The island has a beautifully landscaped pathway which wraps all the way round the island. It’s lit subtly by lights and marked with coral sand stones and natural vegetation –the entire effect is natural and untouched. 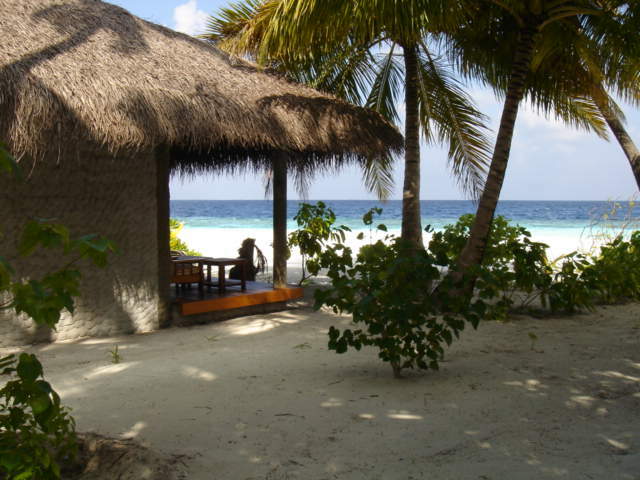 A wooden loveseat swings lazily in a coconut palm grove, overlooking a quiet corner of the beach. It’s perfect for a spot of meditation or a quiet book read. Open pavilions, crafted in natural wood and thatched roofs are built here and there on the lagoon, connected to the island with a jetty, constructed of natural polished wooden planks. One can enjoy a sunrise breakfast on the eastern pavilion and greet the sun as it comes up. The thatched canopy lights on the jetty gently light up the deck at night and add an aura of romance to the atmosphere. The candle lit dinner service, laid out by the private butlers, add to the cozy effect for two. As one alights from the private chartered seaplane, one steps foot on an ocean jetty which takes you to the main beach where the gently swaying coconut palms await your arrival. 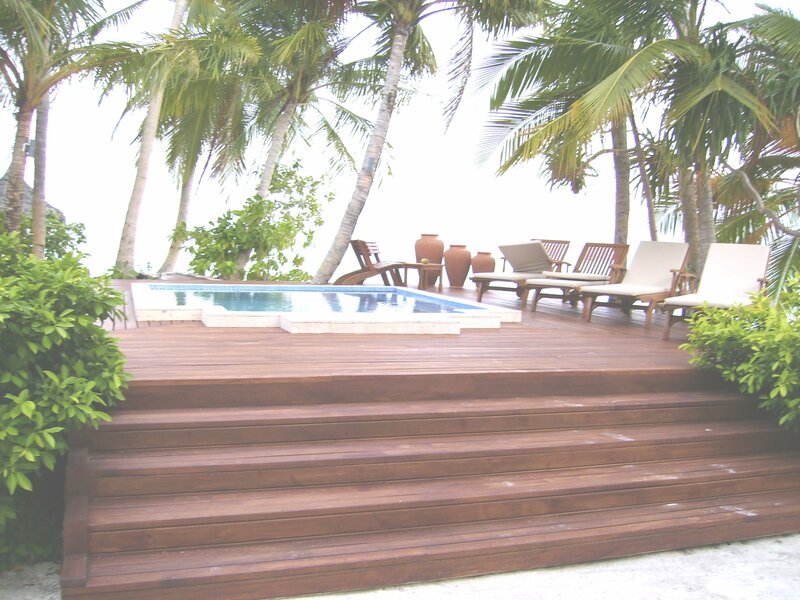 The ocean jetty is constructed of sun soaked wooden planks, left bare and natural. It offers a panoramic view of the brilliant blues of the lagoon on one side and the island and its facilities on the other. The accommodation on the island is a rather sumptuous master suite which is a three bedroom suite; consisting of a master bedroom, two adjoining bedrooms, a living room and a pantry with open air dining set aside a plunge pool. The en suite bathrooms are completely dominated by a huge bathtub, double vanities, wooden slat wardrobes, outdoor rain showers, and beautiful landscaped sides which are open to air. Luxurious amenities like world class music systems, plasma screens and Wi-Fi services vie with other modern amenities. 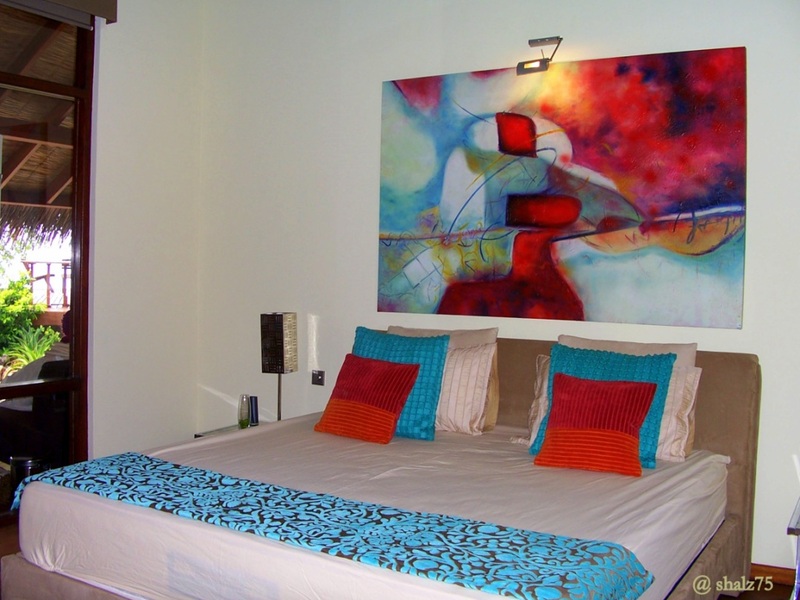 Upholstered beds are dominated by huge artwork canvas in bold patterns and colors which form the focal point and set the tone for the color scheme and décor of the room. 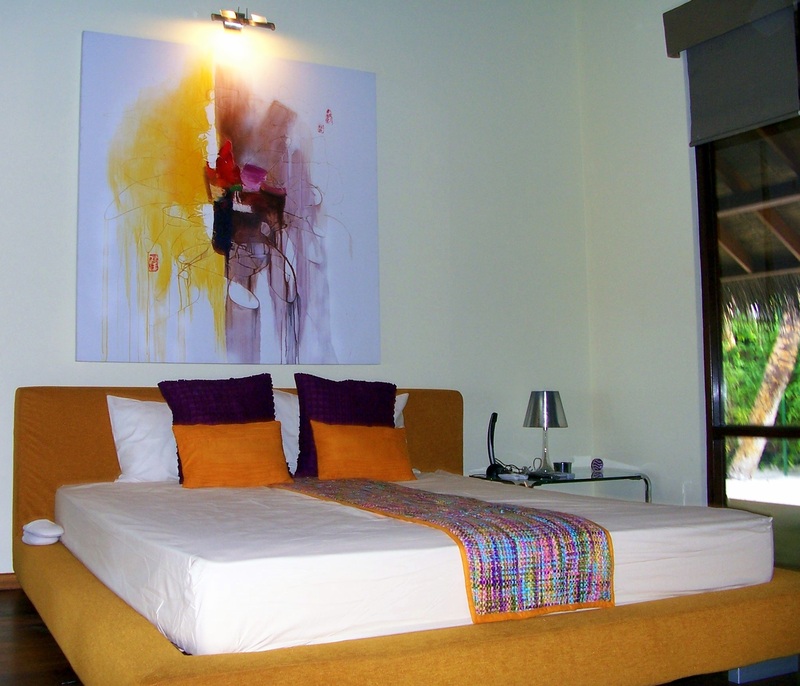 Comfortable shams, bed throws and expensive Egyptian cotton bed linen compliment each other. Gorgeous natural wooden flooring marks the space end to end and is interrupted only by a layered woolen rug. 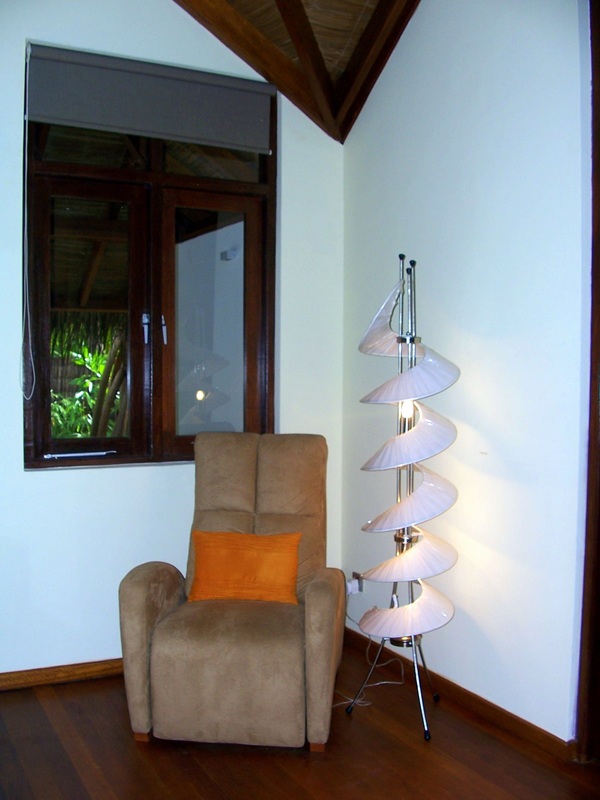 Rough distressed wood furniture, Philippe starck light fixtures and side tables, high end finishes for mirror consoles, expensive leather upholstered chairs, rice paper covered lamp shades, motorized blind systems with water and sun proof fabrics – all form part of the interiors. 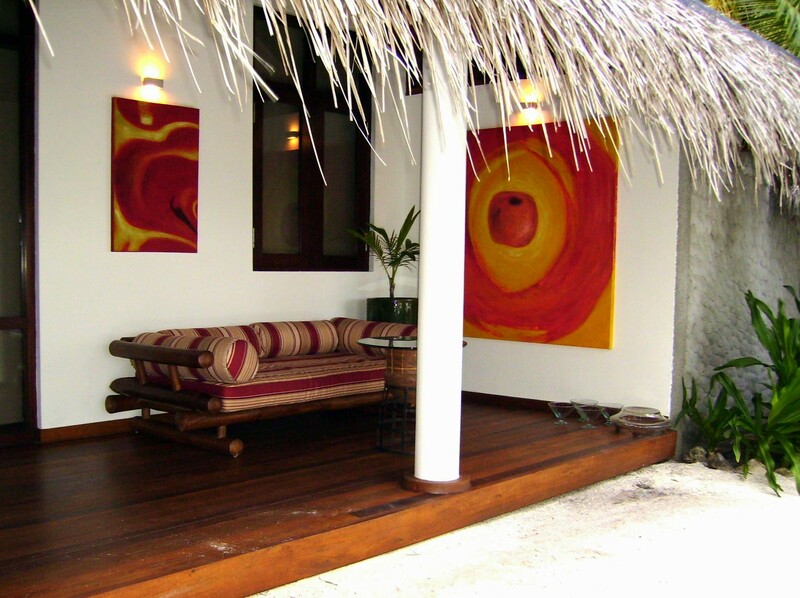 Beautiful artwork and comfortable chairs dot the open verandah which marks the entire length of the main suite. 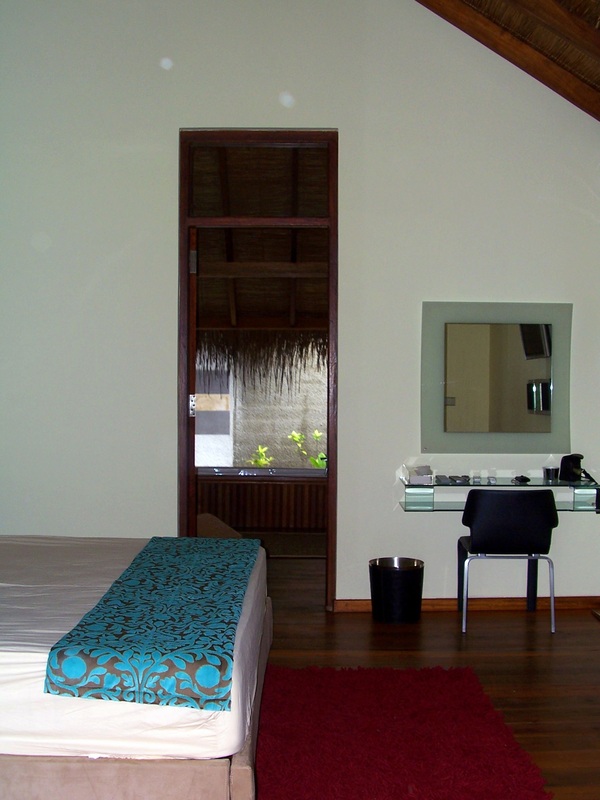 The master bedroom has its own private back verandah with huge day beds and landscaped garden. The living room is done up in vibrant shades of orange and blue with comfortable floor cushions, upholstered loungers, a well stocked bar and a beautiful hi-tech home theatre system with a huge plasma screen. 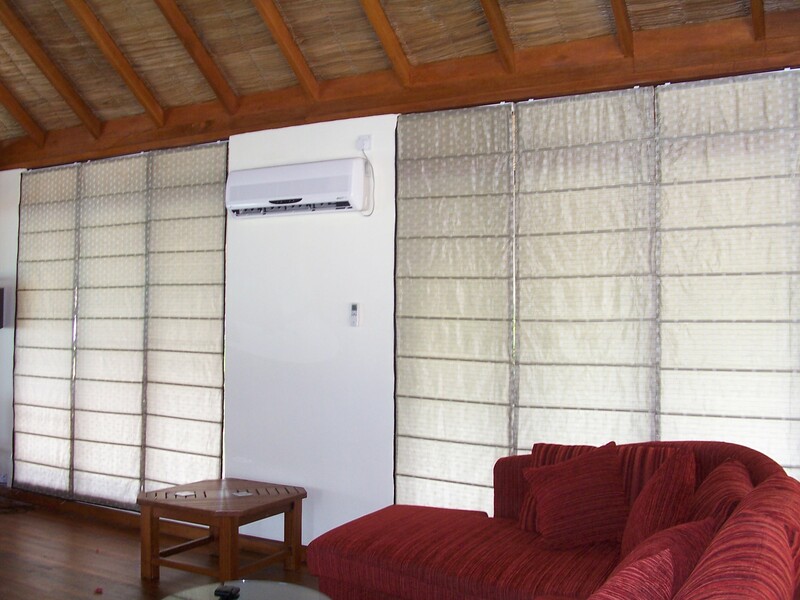 Besides this, there are three independent beach villas, with attached bathrooms, verandahs complete with cozy sit outs to enjoy the view of the ocean. 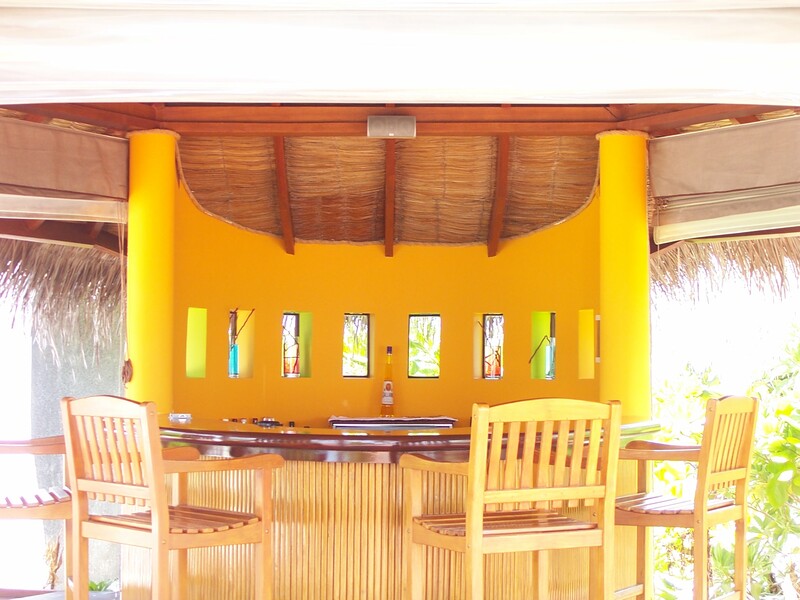 The Water’s Edge is a gorgeous bar, complete with a sundeck and a thatched canopy pavilion situated on one edge of the island. Wooden sun loungers, natural crafted wooden chairs and palm trees dot the bar deck which is covered completely on three sides by the lagoon waters. 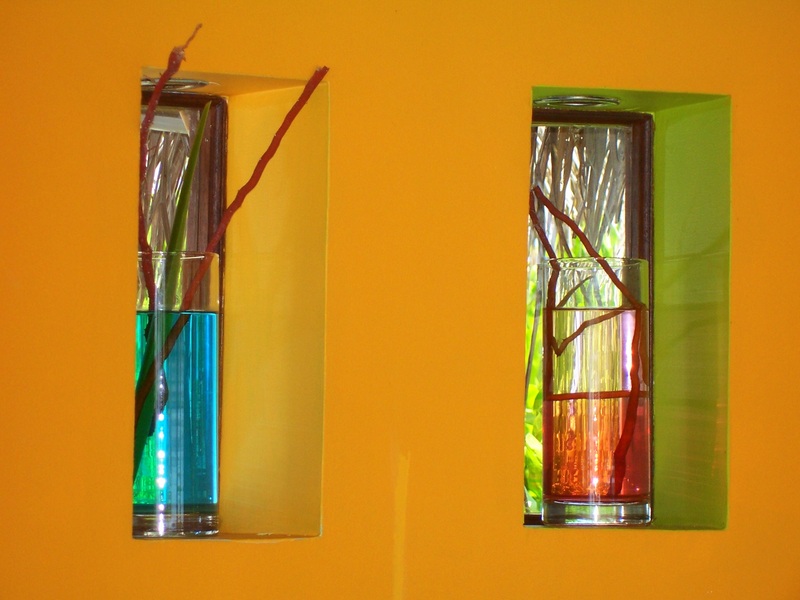 The back of the bar is painted a beautiful sunset orange, interrupted by patches of lime green and aqua blue painted slits in the wall. Natural wood counter, wooden flooring and high ceilings with exposed wooden beams and a state of the art music system are the highlights of the bar. 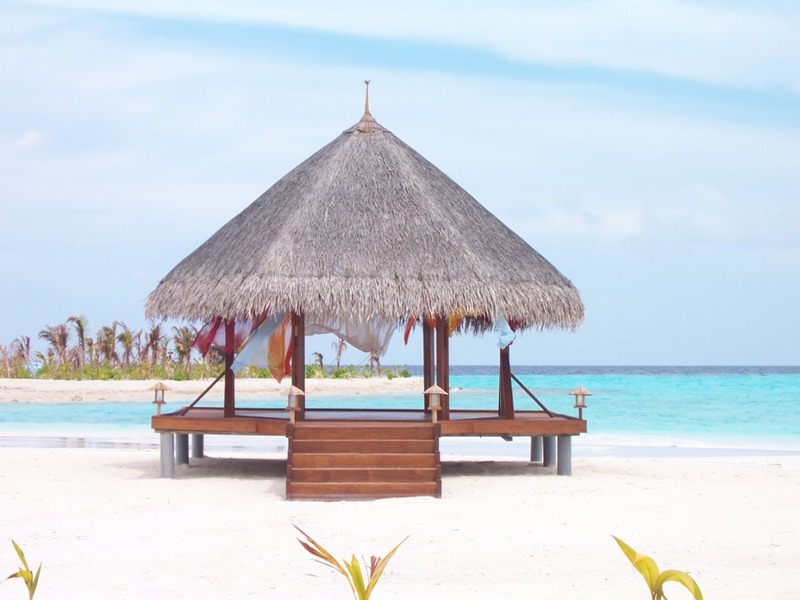 One can enjoy an idyllic drink in the middle of the lagoon in a beautiful thatched canopy pavilion in the lagoon just off the bar complete with a table and wooden barstools – all fixed in the sandy bed of the lagoon. 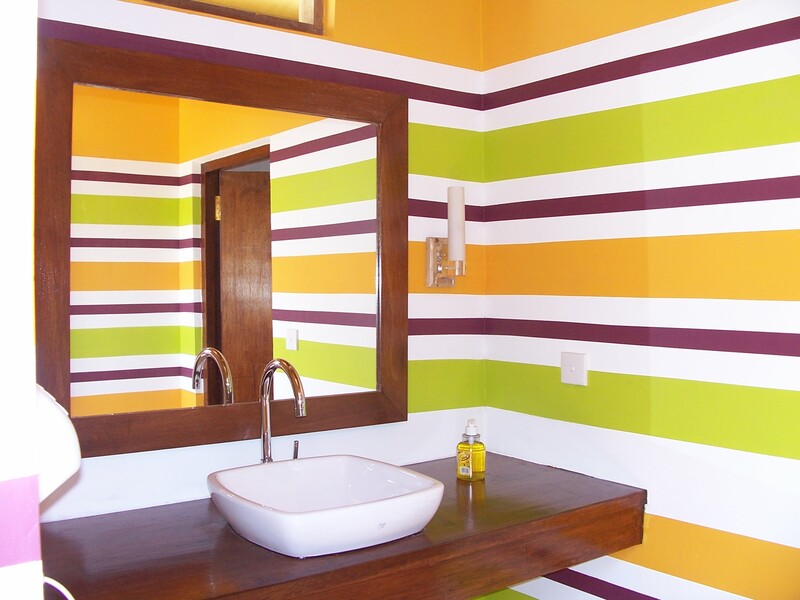 The attached powder room is not just another utility area but is a young vibrant space with multi colored stripes painted on the walls and a natural wood counter complete with all fixtures. The entertainment lounge is right behind the bar and offers a small but well equipped gym, a pool table, a karaoke system with a state of the art music system. One can run on the treadmill and enjoy the sight of the waves rushing in to greet the beach. The entertainment lounge is a vibrant red upholstered space with graceful silk blinds. 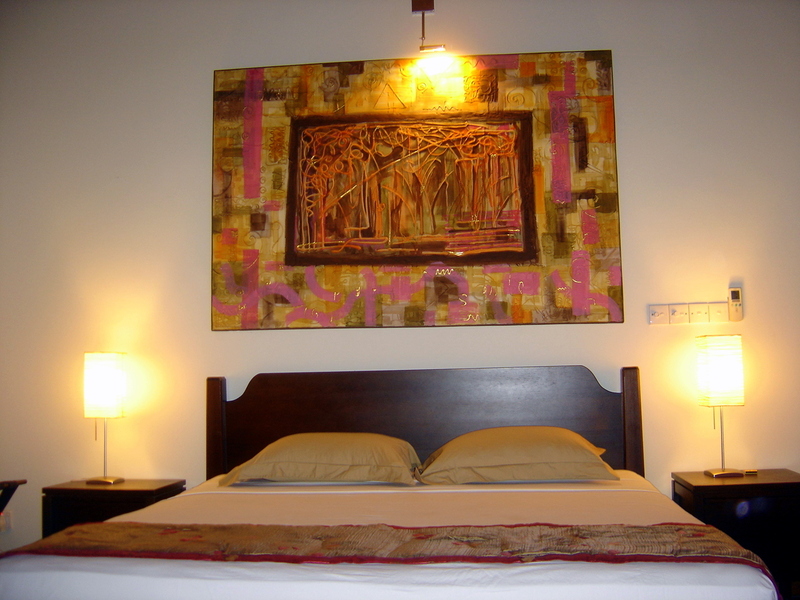 Modern artwork and a strobe light complete the pulse of the place. Rania’s name draws its inspiration from the word ‘Rani’ which is Queen in the Maldivian language of Dhivehi. 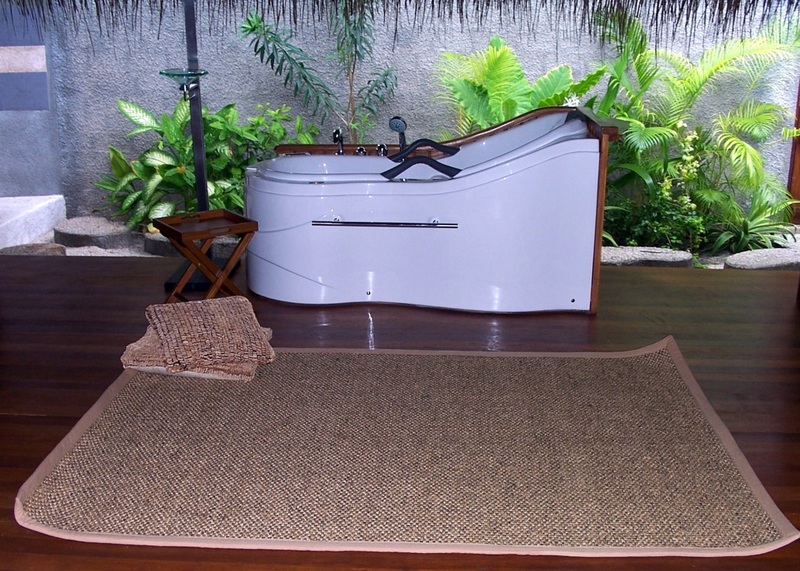 It represents the ultimate in laid back, barefoot luxury. The seclusion of your own private island, combined with the use of a fully crewed luxury yacht. 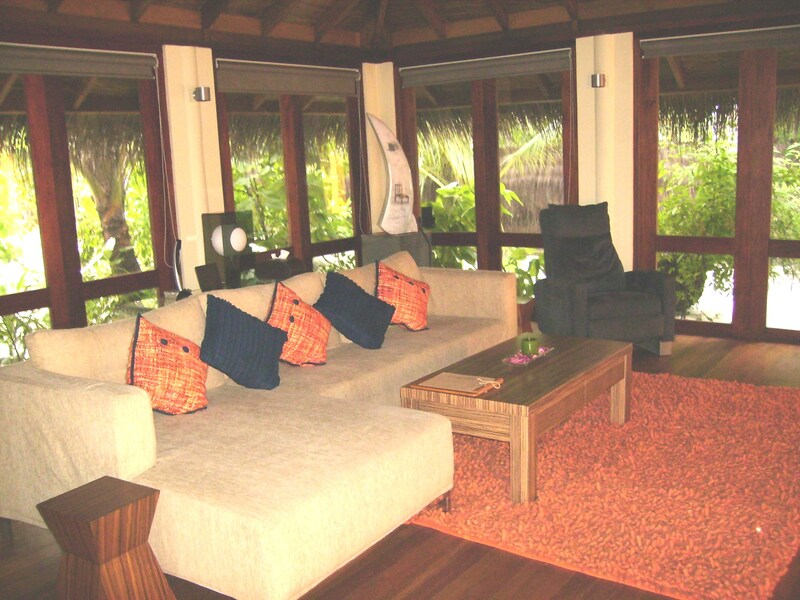 The island is located in the Faafu Atoll, 35 minutes by seaplane, south west of Male’ International Airport..
Accessory2design is a multi-disciplinary design firm and has dealt with hospitality, residential and retail interiors. Thank you guys for your kind reviews! !